Are hybrid cars suitable for all drivers? Main image caption What does hybrid mean? Hybrid cars utilise two power sources in order to provide drive – a conventional combustion engine and an electric motor. Use of the electric motor reduces the demands placed on the engine, theoretically making a hybrid more fuel efficient. 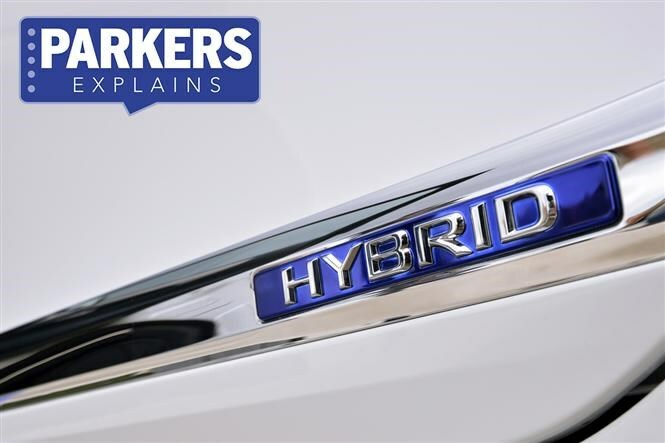 All hybrids combine the power from a conventional engine along with an electric motor to propel the car efficiently, but there are a number of subtle differences between the systems different manufacturers employ. The majority of hybrid cars have a petrol engine due to their relative quietness and ability to warm up and become more efficient quickly, but DS and Peugeot use diesel engines for higher levels of fuel economy at motorway speeds. Most hybrids allow a short period of lower-speed driving in fully-electric mode with the engine taking over as the speed increases. Depending on the system, the electric motor then switches off, coming back on seamlessly when extra power is required, such as when overtaking. These set-ups are known as a 'parallel hybrids', with both the engine and electric motor having the potential to work at the same time to power the car. Batteries are replenished by recuperating kinetic energy from the brakes as the car slows, and by taking a small amount of the engine’s power to recharge them. Plug-in hybrids primarily have their batteries recharged by connecting the car into an electricity supply, while range-extenders such as the BMW i3 REX (or old Vauxhall Ampera) are technically "series hybrids": here the engine is used as an on-board generator, with the electric motor alone powering the car. Do I need a hybrid car? Hybrid cars typically work out as a more fuel efficient, lower emission choice than diesels when used for shorter, urban-centric journeys. For longer, typically motorway-speed driving, diesel-engined cars usually prove more economical: a hybrid will ususally have a small petrol engine meaning it has to work harder to power both the car and keep the batteries charged for when the electric motor’s called upon. Which car manufacturers make a hybrid car now? Hollywood celebrities helped make the original Toyota Prius famous – it was also the first hybrid sold in the UK back in 2000.